This week, as part of our behind-the-scenes look at what to expect from this year’s RHS Chelsea Flower Show in May, we look at the story behind a very familiar name to anyone who follows the gardening world. Rosy and Rob Hardy are celebrating a double 30-year anniversary this year: they have been married for 30 years, so are celebrating their Pearl Wedding Anniversary, and it is 30 years since they began selling plants grown in their back garden at a local car boot sale. Now, they run a hugely-successful plant nursery business with a 13-acre nursery in Freefolk, Hampshire, stocking 1200 varieties of herbaceous perennials. They also breed plants and have introduced several that are becoming firm garden favourites, like Gaura ‘Rosy Shimmers’. 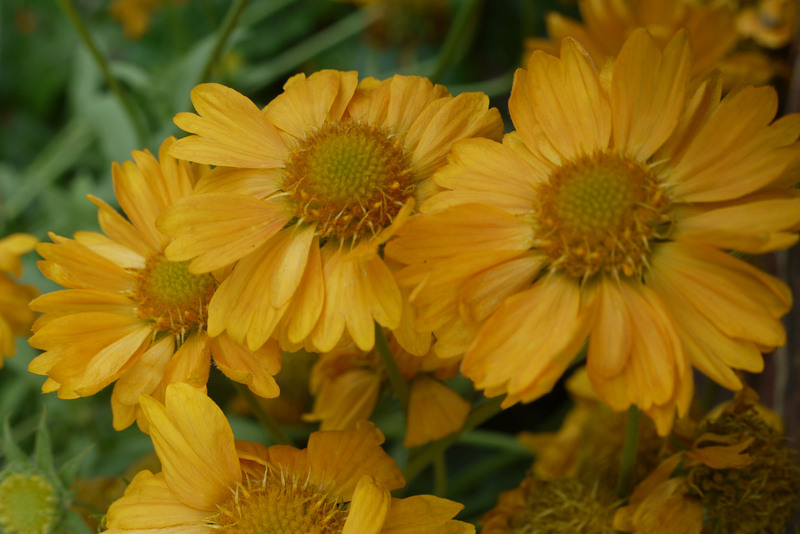 Gaillardia ‘Apricot Honey’, a 70cm high plant that produces large, soft-apricot flowers throughout the summer. It is ideal for a sunny border or container. Polemonium yezoense ‘Kaleidoscope’ (Below) which was bred in 2001 at Dunmore Nursery and has foliage that emerges flushed cream, deep pink and red and then matures to bronze-green with creamy-yellow variegation. It keeps the pink flush all summer. The flowers are purple-blue and reach 60cm high. 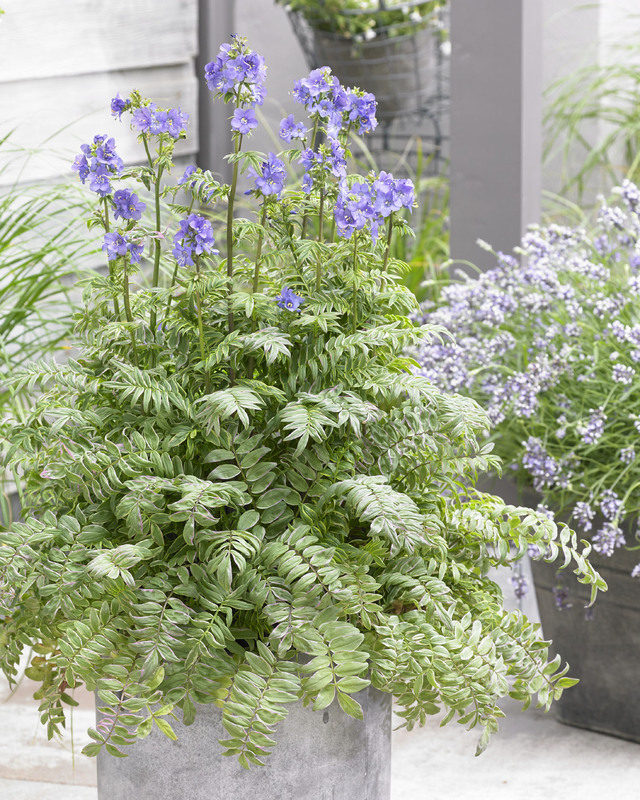 It is compact, prefers a sunny or part-shaded spot and grows well in a container. So, many congratulations to Rosy and Rob in their anniversary year and fingers crossed that they celebrate with another Gold Medal.